As a business entity, you need to be able to manage the complexities of your processes, business management reports, corporate and professional relationships, operational systems, and other relevant activities that you and your stakeholders are involved in. The entire operations of your business is essential to be organized so you can give focus on the action plans that you need to prioritize as well as on the quality standards that you need to incorporate in all your procedures. 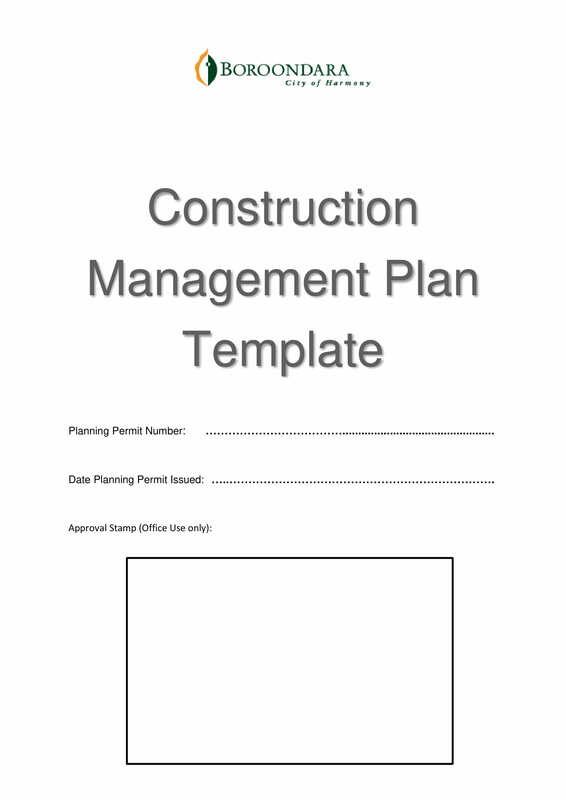 Having an operations management plan can help you a lot with regards this matter or undertaking. 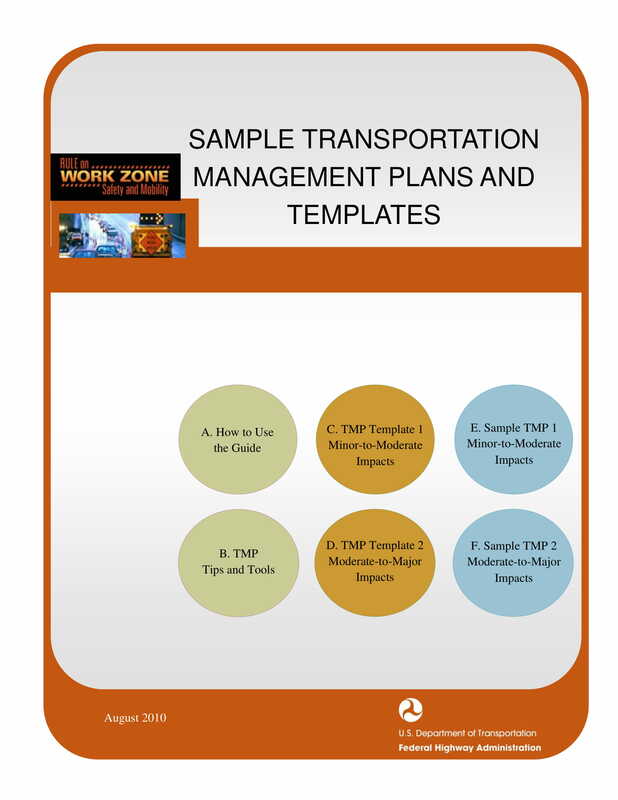 It will be easier for you to develop your own operations management plan if you will use templates and other document guides and references. 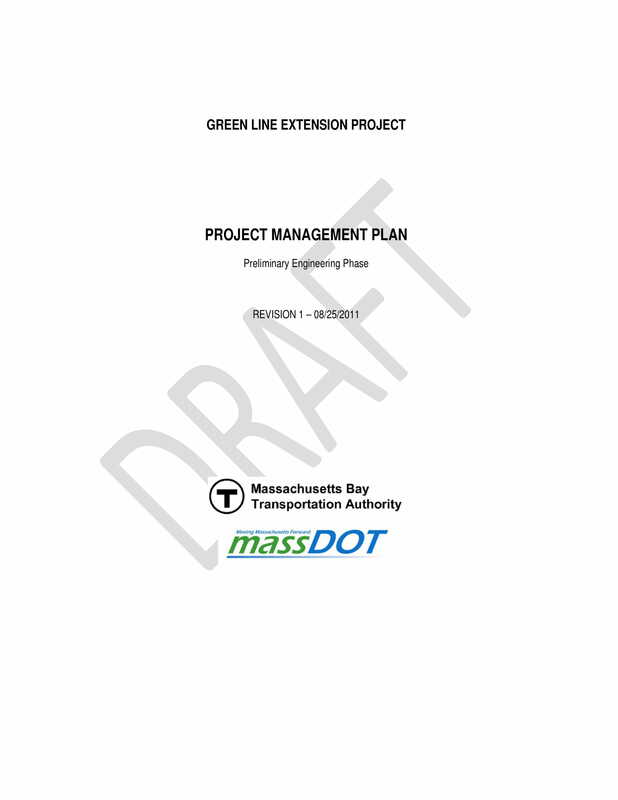 We have listed several examples of operations management plan templates that you can use if you want to create the specified document for your organization. 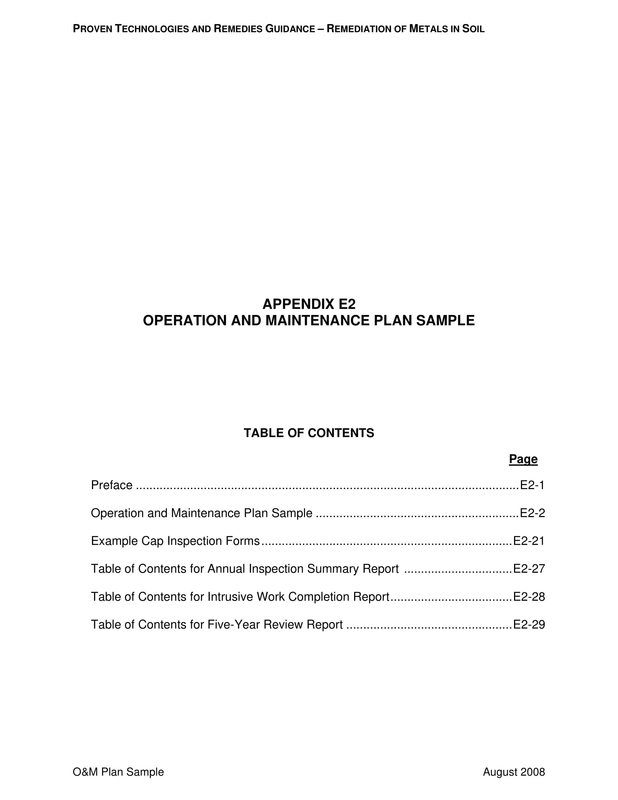 Ensure that you will check out and download the examples that we have provided you with so you can have a more efficient time when developing the operations management plan of your business. 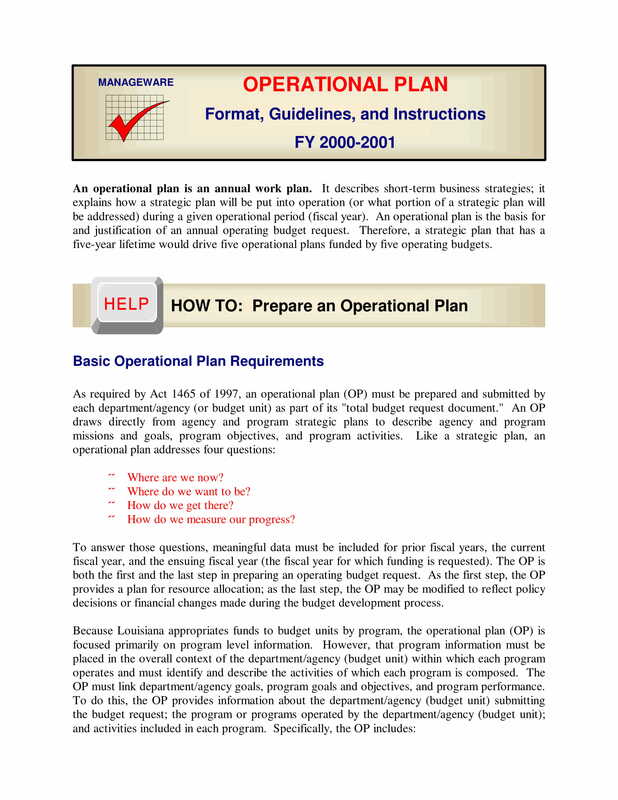 What Is an Operations Management Plan? 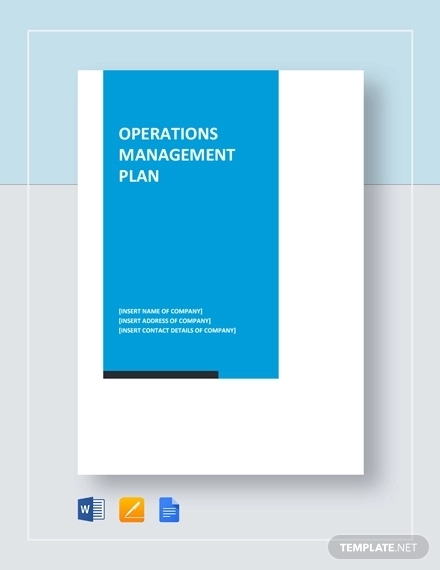 An operations management plan is a business document that contains all the plans of action, strategies, and tactics that your organization needs to execute for the development of your operations. 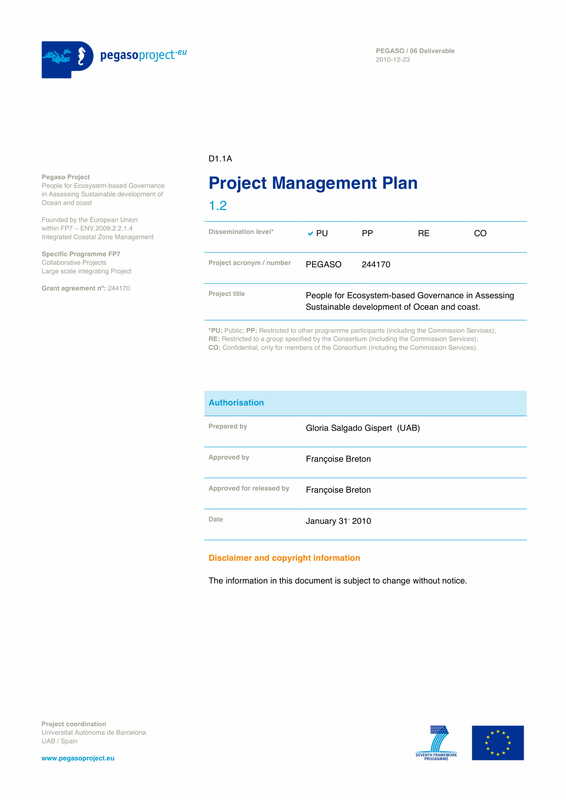 Hence, this document presents the responsibilities and obligations that your team members should take ownership of so that particular objectives can be established and achieved in a timely manner. An operations management plan provides a physical presentation of the opportunities that you can take and seize for the growth, development, and improvement of your overall operations. By using this document, you can be more directed when it comes to managing all the areas of your business operations as well as the elements and factors that affect your successes. An operations management plan allows the incorporation, alignment, and linking of your corporate goals with the objectives that you would like to realize for your operations. With this, you can be more tactical and strategic when planning call-to-actions which can result to getting maximum results from all the efforts that you will provide and the resources that you will use. An operations management plan can help you highlight the touch points that are necessary to be taken cared of so that you can promote an open line communication with all the areas and divisions of the business. Using an operations management plan can help you achieve your business goals accordingly as it makes the operational procedures of the business become a collaborative effort from all of your stakeholders. 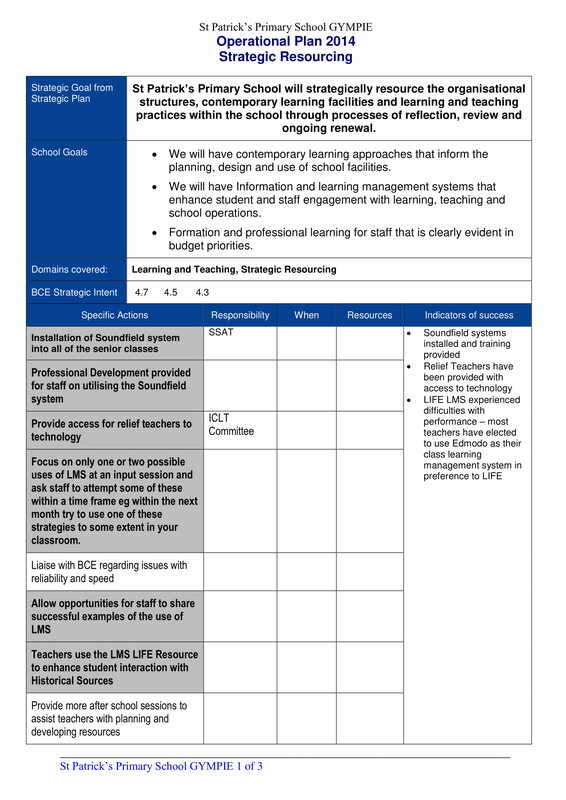 An operations management plan, like school operational plan examples, ensures that there is a clear direction with where you would like to be at which can also help organize the work processes of your members. From the intermediate or first steps that you need to execute up to the final phases of your operational year, having an operations management plan can truly strengthen the structure of your action implementation. An operations management plan is a management tool that helps you to become more prepared in terms of meeting challenges, threats, and risk impacts head on. Developing an operations management plan can help you a lot as it can provide an idea about the counteractions that you can execute during particular instances. It can also give an overview of the level of impacts that you need to be ready for and the ways on how you can minimize the effects of problems and issues to the operations of the business. Your business operations are not limited to the processes, activities, and programs that you implement for sales purposes. Aside from earning a profit, business operations also consider the presence of various procedures and efforts that gives your organization the ability to accomplish or achieve corporate goals and objectives. This is the main reason why you need to have a deep and full understanding of the key principles of an effective operations management plan as well as how they can work together for the maximum benefit of the business and its stakeholders. Listed below are some of the essential items that you should always consider when creating an operations management plan. The operations management plan that you will create must be realistic, attainable, and measurable. It is important for you to focus on the issues and concerns at hand rather than the specific techniques that you will implement. Keep in mind that there are different problems that your business operations might experience, which is why you have to think of different ways on how to resolve the core of your problems rather than try to formulate a general or universal solution which will only end up as inefficient and ineffective. The scopes, terms, and limitations of the operations management plan usage must be set. Managers and team members should know the specific usage of particular action plans so that the operations can be managed appropriately. 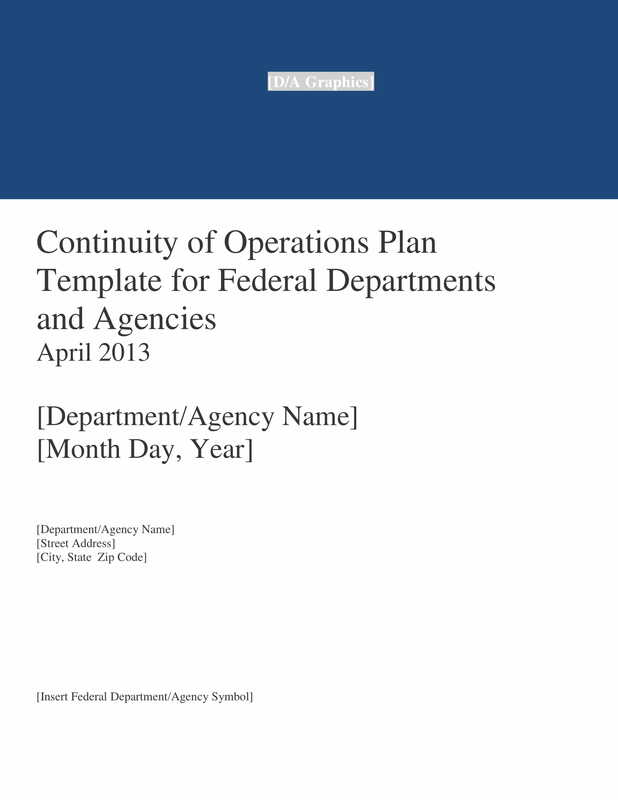 The organization of your operations management plan is essential. Just like when creating an affiliate marketing business plan, you have to ensure that all the processes and activities within the undertaking are laid out accordingly. There should be a system that can allow you to point out all the segments and areas of the discussion with ease. Being organized can also help you showcase the interconnection of the items or elements that you put together in the document. 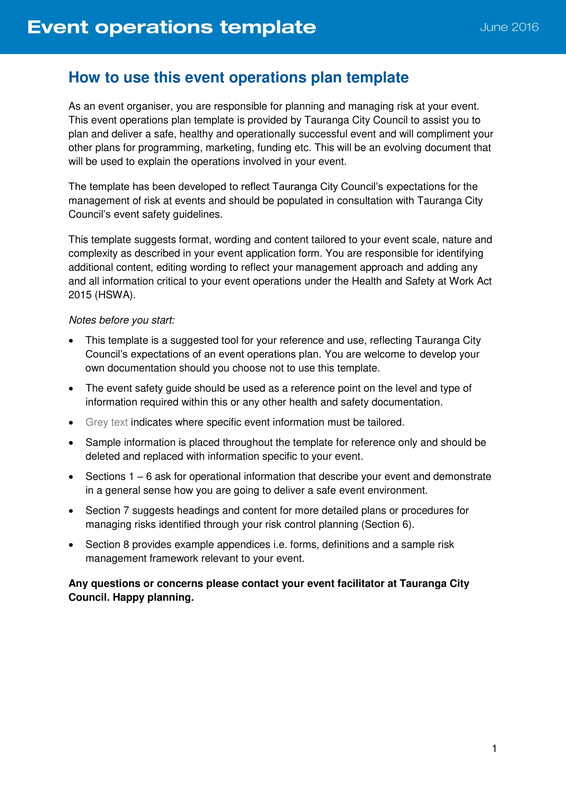 The basic information that should be placed in the document should be complete and detailed. You have to ensure that the fundamentals of your operations management plan contain all the necessary details that can contribute to the successful implementation of your plan of action. The specification of all the details must be specific and consistent. Being able to execute this in your operations management plan can promote predictability when it comes to the items that are needed to be looked into. This can help you achieve your objectives accordingly especially in cases where concerns are similar or closely related to one another. The processes, tactics, and strategies that you will use must have variety. Again, just because one action plan worked for one instance does not mean that it can also resolve all the problems of the operations. Hence, you need to ensure that you will think of variance whenever you plan to manage your operations. The team members who will be given responsibilities must be aware of the tasks that they need to execute within a particular time frame. It is important for ownership and accountability to be established so that all work functions can be covered as specified in the timeline that you will use for your operations management plan. The metrics for successes is important to be established. Doing this can help you properly and objectively measure the effects and impacts of the operations management plan to your business. This can also allow you to use previous operations management plans as references whenever there is a need to update the current document or if you need to implement changes for the improvement of your operations. Include different kinds of stakeholders when developing your operations management plan. You may even consider to ask your customers on how they perceive the operations of the business and what are the things that they expect from the organization when it comes to providing them the services and quality of products that they need. In this manner, you can ensure that the document that you will develop is multifaceted and is composed of opinions and suggestions from different areas of the operations. Always track your improvement. The creation of the operations management plan must be backed up by maintenance and updating methods that will allow you to measure the growth that has already existed or transpired within a particular period. This can give you an idea on how the document can truly affect the business. Know the purpose or the reason on why you need to create and implement an operations management plan. This can help you be directed when thinking of the procedures of your plan execution as well as the ways on how you can get the maximum benefits out of the undertaking. 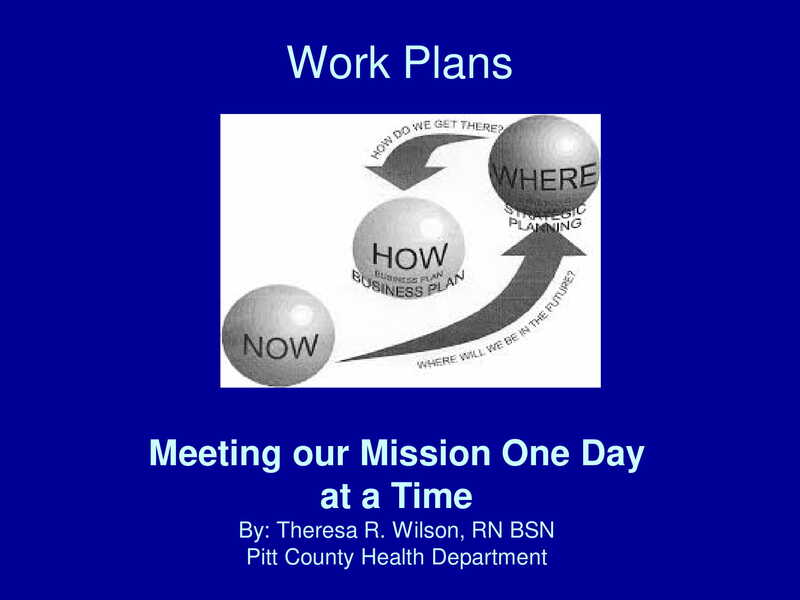 Be focused when plotting the strategies and action plans that you will include in the operations management plan. You have to think of all the elements that you need to put together, the resources that you will use, the internal and external factors that can affect your decisions, and the help that you will be needing from your stakeholders. Knowing what you need and when you need them can help you be precise with the moves that you will do to manage the business operations in the best way possible. 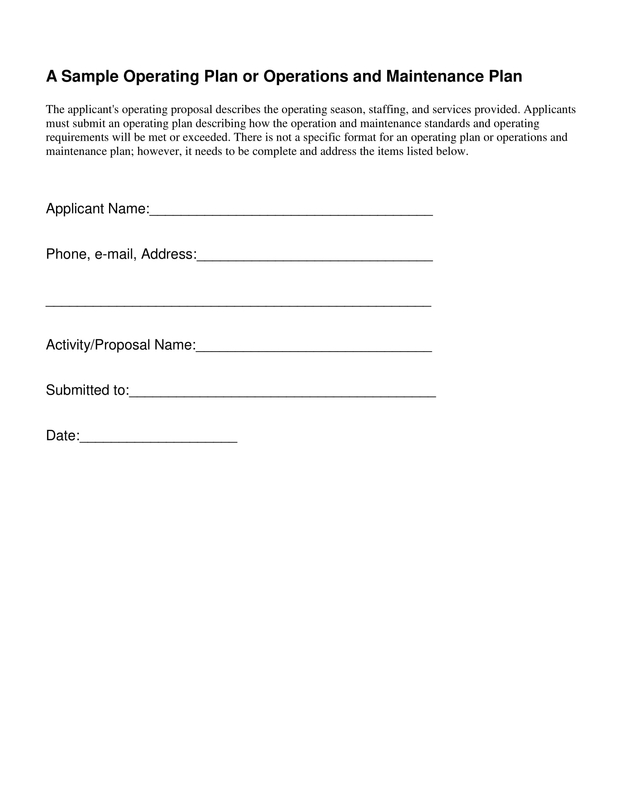 Do You Want to Start Making an Operations Management Plan? Just like when creating a monthly sales plan and other kinds of business documents, using references when making your operations management plan can benefit you a lot. 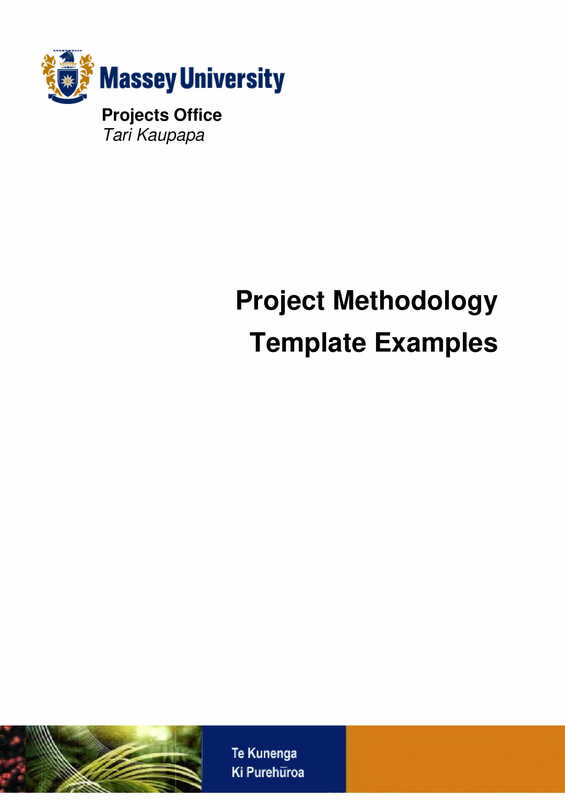 Download the template examples in this post and begin the creation of your business’s operations management plan.